First, there's now a way to manually add flight and hotel reservations, instead of relying on Gmail. Maybe you don't want the app to go through your inbox to find these emails or maybe, like me, you're planning a trip with someone else and you're not the one receiving all the emails. 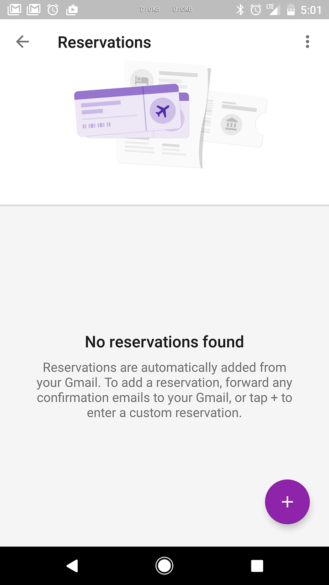 Asking others to forward them to you can help Google parse that data for you, but not when some hotels or companies oddly don't email you the reservation. That's why I'm excited about Trips adding a manual mode. Now whether you're browsing an existing trip or adding a new one, you get a new FAB that lets you add your hotel or flight reservations. 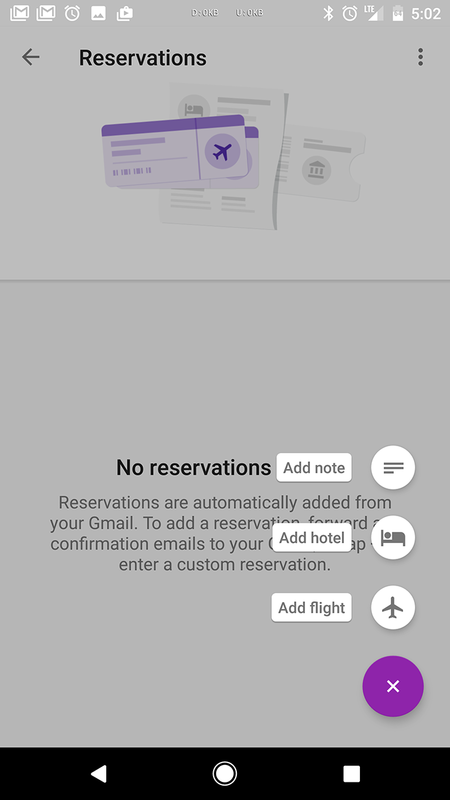 You can type in the dates, flight numbers, hotel names (and Google will get their address and phone number), and reservation numbers. 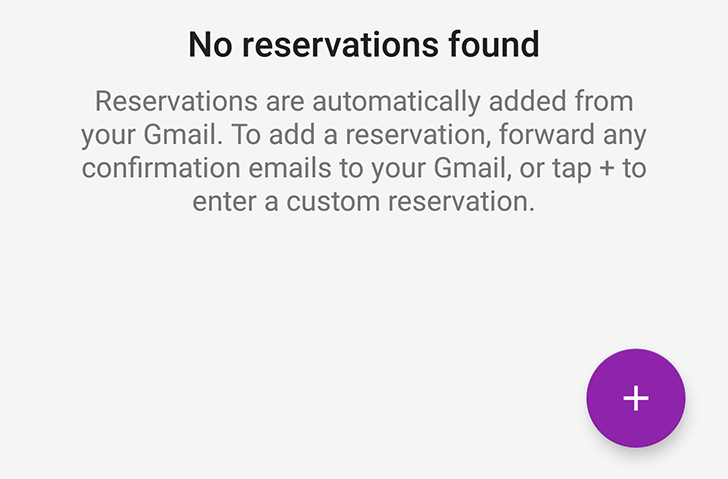 It's worth noting that the FAB may be a bit buggy or it could be server-side enabled. At first I didn't see it, but after a couple of tries and uninstalling/reinstalling the app then letting it update to today's release (there was a 1.0.0.150199320 release yesterday, but today's is newer at 1.0.0.150949031), it's now working for me. Artem had it from the first try on yesterday's release, so your mileage may vary. 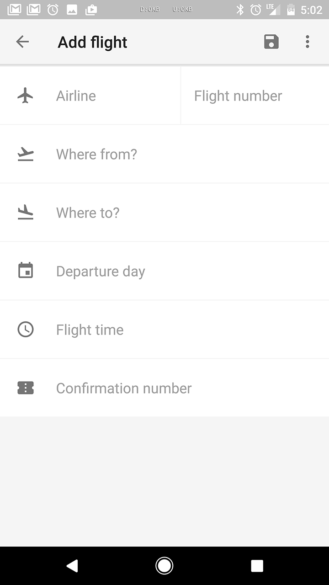 Beside the new manual additions, the second change hitting Google Trips is the ability to parse bus and train reservations automatically from Gmail. I don't have any in my inbox so I can't show you how these are supposed to work. 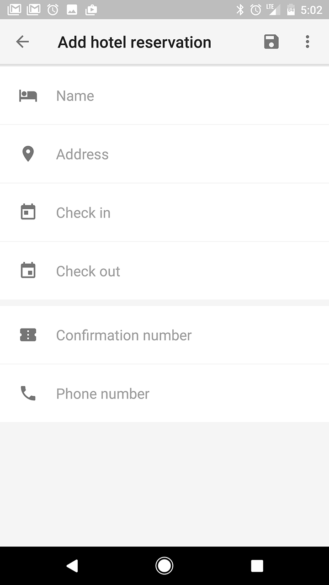 But they should grab data in the same smart way as flights and hotels, including dates, locations, and reservation numbers. The update should already be live for everyone on the Play Store, but in case you want to grab it manually, you can get the new 1.0.0.150949031 version from APK Mirror.